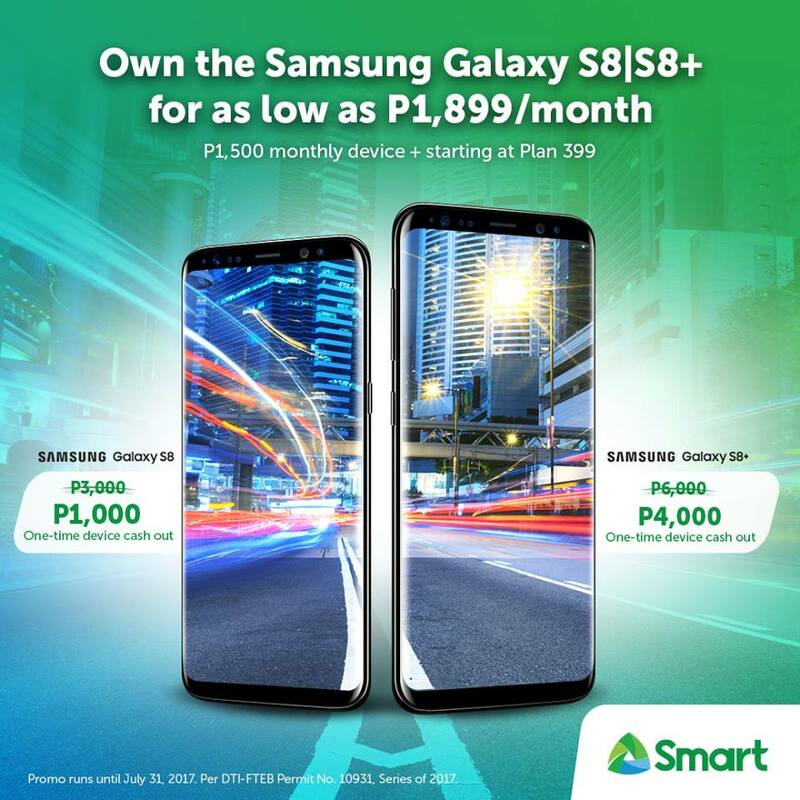 Earlier today Smart Communications Inc has an announcement through their Facebook page on their current postpaid offerings for the Galaxy S8 and S8+ smartphones. The telecommunications company is now making the initial cashout fees on these Samsung's flagship devices even more affordable, slashing off Php2,000 upfront. When the postpaid plans for the Galaxy S8 and Galaxy S8+ were announced back in April of this year, the original cashout fees for these devices were Php3,000 for the S8 and Php6,000 for the S8+. In other words, you can now get the Galaxy S8 for an initial cashout fee of just Php1,000 and Php4,000 for the bigger Galaxy S8+. You can get these devices with postpaid plans as low as Php399 a month plus a monthly device fee of Php1,500 making your monthly bill at Php1,899. Plan 399 gives you 3GB data, unli all-net texts, 20 minutes all-net calls and 500MB data for chat apps like Messengers, Viber, etc. See list of plans here. Just take note that this offer only runs until July 31, 2017. You can visit any Smart Store to apply.